Following the recent announcement of their third album, Serfs Up! , Fat White Family have shared the video to ” Tastes Good With The Money “, an absurd Monty Python-inspired ‘romp’ directed by Roisin Murphy. Having recently played two intimate sold-out shows at the Lexington in London, the band head out on a headline U.K. tour in May. Having released their second album, Songs For Our Mothers, in January 2016, core members Lias and Nathan Saoudi relocated to Sheffield and set about writing the album. Joined by co-conspirator Saul Adamczewski and recorded at their own Champzone studios in the Attercliffe area of the city, Serfs Up! was finished in late autumn 2018 with the help of a long-time collaborator, Liam D. May and features a guest appearance from Baxter Dury on ” Tastes Good With The Money “. 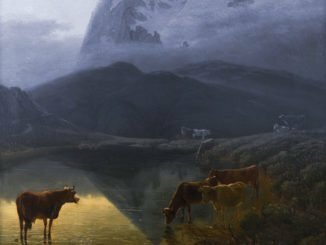 Where once they soundtracked a grubby Britain of vape shops, microwave dinners and blackened tin-foil, a crepuscular comedown realm stalked by Shipman, Goebbels and Mark E. Smith, Fat White Family now inhabit another cosmos entirely. Serfs Up! is the product of a band of outlaws reborn. 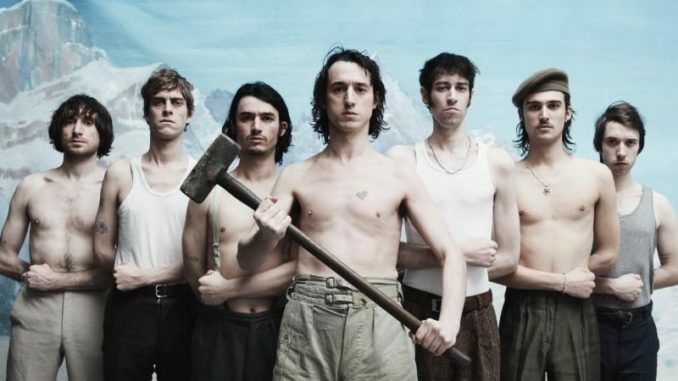 Few but themselves could have forecast it: Fat White Family survived. Fat White Family got wise. Fat White Family got sophisticated.